OSEIA caught up with Jeni Hall, Sr. Project Manager to ask her a few questions about this year’s Solar Contractor Day sponsored by Energy Trust of Oregon on Tuesday May 9th. What is Solar Contractor Day? 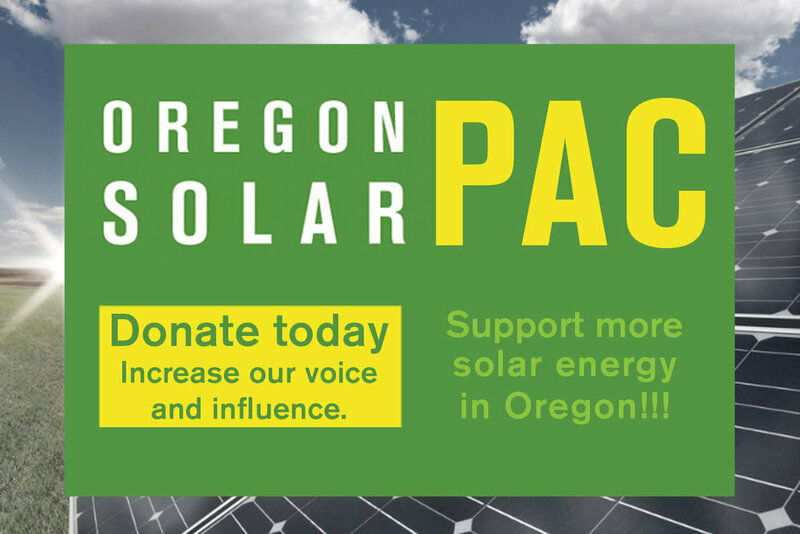 A whole day of training on Tuesday May 9th designed just for Oregon solar contractors brought to you by Energy Trust of Oregon. Talking with solar trade allies we hear that many contractors are interested in growing their businesses, increasing their profits, and decreasing costs. We contracted with national industry experts on financial management, business operations, and installation best practices to help by providing Oregon solar contractors the tools needed to meet their goals. Is there something different about Solar Contractor Day this year? Yes! This year we have something for the whole team by offering two educational tracks. Focus on either business development or technical skills - bring your whole team and take advantage of both! The thing that is the same this year is the impressive talent we have brought in to present. The Business Development Track will be facilitated by Pamela Cargill & Leslie Shiner – experts in solar business operations and financial management. The Technical Training Track will give attendees the opportunity to learn NEC Code from Ryan Mayfield and Solar Installation Best practices from Jerry Henderson while also receiving OR BCD + NABCEP CEUs. For contractors that attended last year - will this year be different? Yes. Our goal is to bring you the up to date information that is most pertinent to your solar business. Each year will have a theme and provide you with new learning opportunities both from the facilitators and from other contractors that are participating. This year we are focusing on helping solar contractors grow profitably in an increasingly complex industry environment in the areas of business operations, financial management, and technical skills. Everyone! If you are a business owner or manager - or if you interested in moving into a management role in the future - you will benefit from participating in the Business Development Track. If you are responsible for installation quality, leading a crew or a solar installer the Technical Training Track will provide you with valuable information for your job. Energy Trust has significantly offset the cost of the event so your team can participate in this daylong workshop for only $50 each with a light breakfast and lunch included. Don’t forget, the cost of Solar Contractor Day - as well as the rest of the conference - is eligible to receive matching Business Development Funds. Also, OSEIA members receive 40% off with discount code, email outreach@oseia.org. Can we get NABCEP and OR BCD CEUs? Yes. The NEC Code Change course and Solar Installation Best Practices courses are eligible for NABCEP and OR BCD CEU’s. Can I get access to the Business Development training somewhere else? No. The business development training provided as part of Solar Contractor Day is unique and customized for Oregon solar contractors. Nothing like it is offered at other conferences like Solar Power International, Intersolar, or even the NABCEP Continuing Education Conference. The workshop is focused on hands-on training to help you build critical business skills. All attendees will get access to the resources and training tools that were provided so they can take action on the lessons after the conference. When you register online be sure to add Solar Contractor Day (May 9th) to your conference registration. If you have any questions – or want to add Solar Contractor Day to your registration – you can contact Stephan Pantinakis (stephan@oseia.org) for assistance and for the OSEIA member discount code!